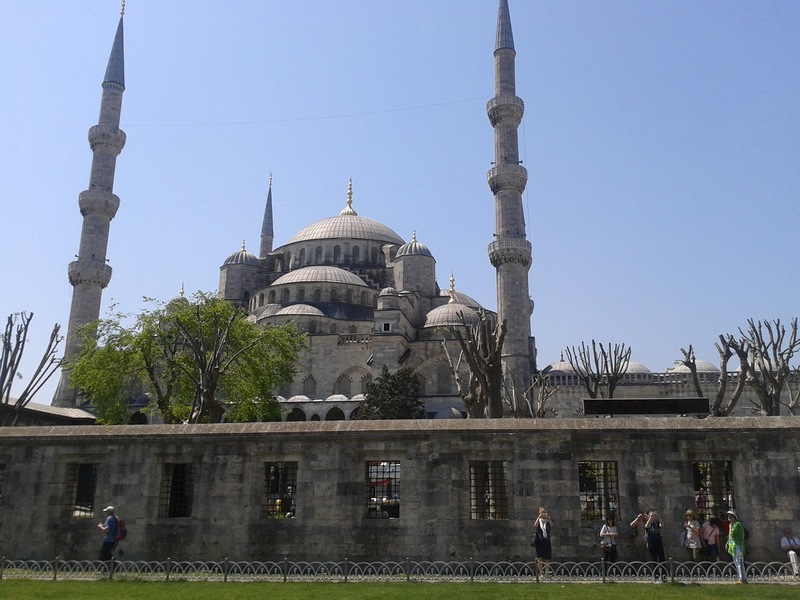 The Sultanahmet, also known as the "Blue Mosque"
Today we have to make up for our lost day. We have a full day ahead of us. 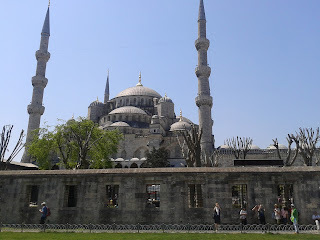 We will "do" Old Istanbul, visiting the Blue Mosque, the Aya Sophia and the Byzantine Cisterns. 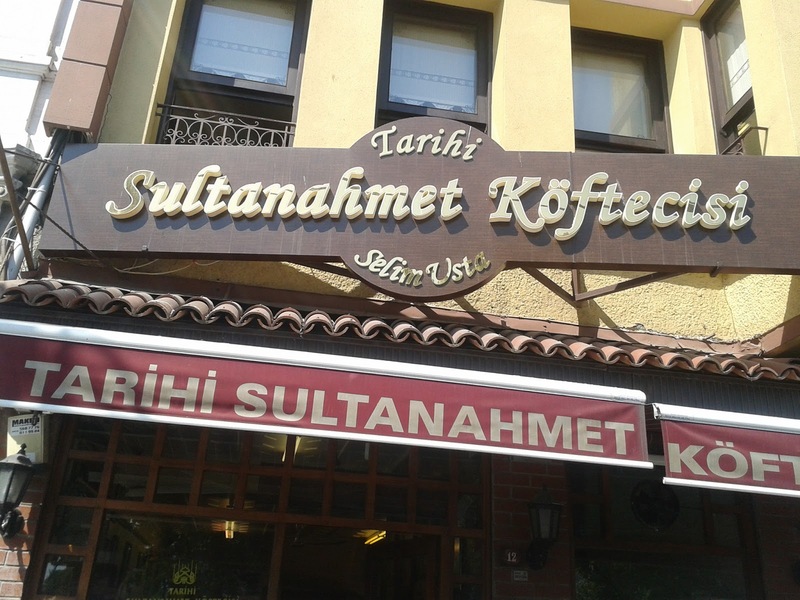 We'll have meat balls at the famous köfte restaurant, "Sultanahmet Köftecisi". I am told that, like with Ray's Pizza in New York, everybody tries to imitate the best one, using similar names. 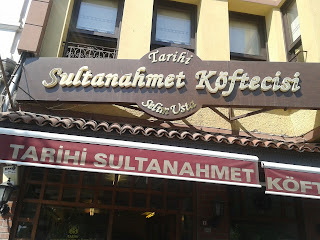 The best, the original one is at number 12 on the Divan Yolu, a stone's throw away from the blue mosque. We ate there the last time Peter and I were in Istanbul. In the afternoon I will go to a proper historic hamam in Old Istanbul. On the way to the Sultanahmet mosque, we stop at the Hippodrome, where Peter explains the Egyptian obelisk and the function of the hippodrome to Jon and Dayeong. We see some dusty cars parked - right on the Hippodrome. We walk on. More cars. They're not oldtimers. The cars are loaded with stickers. What are they doing here? At first, we think it is some sort of PR gimmick. 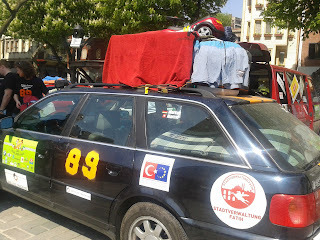 All the cars have roof top carriers filled with things like suitcases, thermarests and sleeping bags, even bobby cars for kids. They look tired, used up. After a closer look, we see that every single car has German license plates and almost all of the cars are German-made. I find a couple of men sitting near some of these cars. 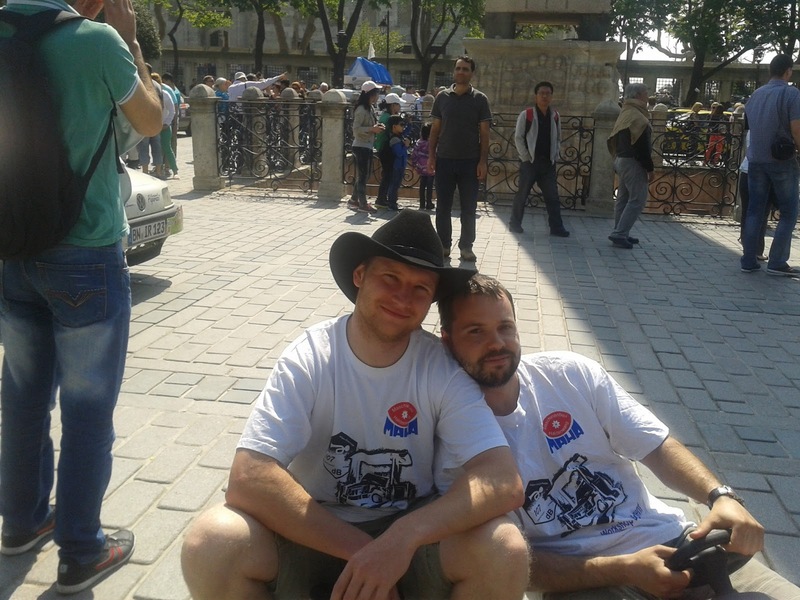 They look non-Turkish, so, figuring they might be German, I speak to them in German. "We're on a Rallye!" they exclaim. So what's a Rallye? Jon explains that it's a sort of cross-country car race. 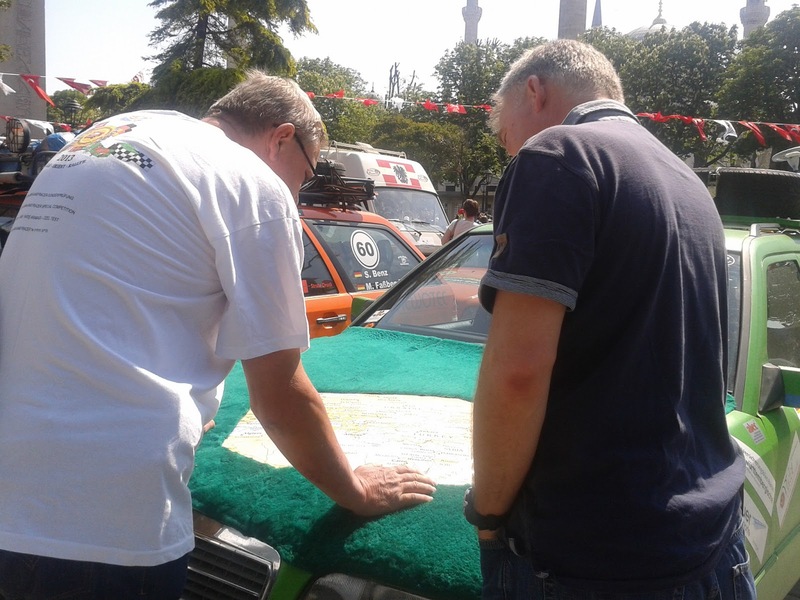 You can read all about a Rallye and this particular one (in German) here: In short, the drivers have to drive cheap used cars, and can't drive on any freeways, toll roads or ferries. 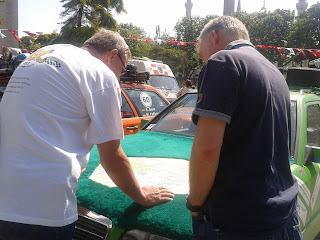 These guys have a map right on a carpeted hood! There must be a couple hundred of these cars. The men tell me they're in a race that began at the Lake of Constance. They're on their way to Amman, Jordan. They left Germany a week before, driving all the way to Istanbul without ever having to be on a ferry. They have three more weeks to go. The only part they will do on water is when they have to take a ferry around Syria, which is too dangerous to drive through right now, with a civil war going on. What an adventure! If I had time and a companion, I’d do it, even if I ended up last.